Giveaway - Colors by Llarowe - Courage, Brains, Heart. I love giveaways - both entering and hosting. So I am going to give away a new bottle of Colors by Llarowe Courage, Brains, Heart. I received one to review and I purchased the A Box, Indied, which also had one in it. So one of you lovely readers is going to receive it! 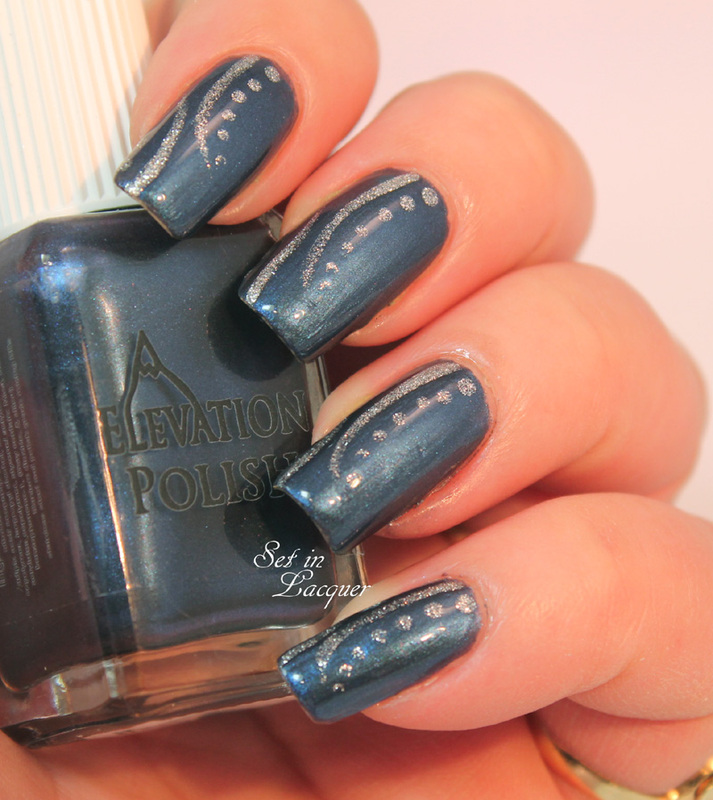 This polish was only available in the A Box, Indied April subscription box. So it is definitely hard to get. This giveaway is open to international entries and entrants must be 18 years or older (or have parental consent. The giveaway ends at midnight on May 10, 2014. Good luck! You can enter via the Rafflecopter widget below. 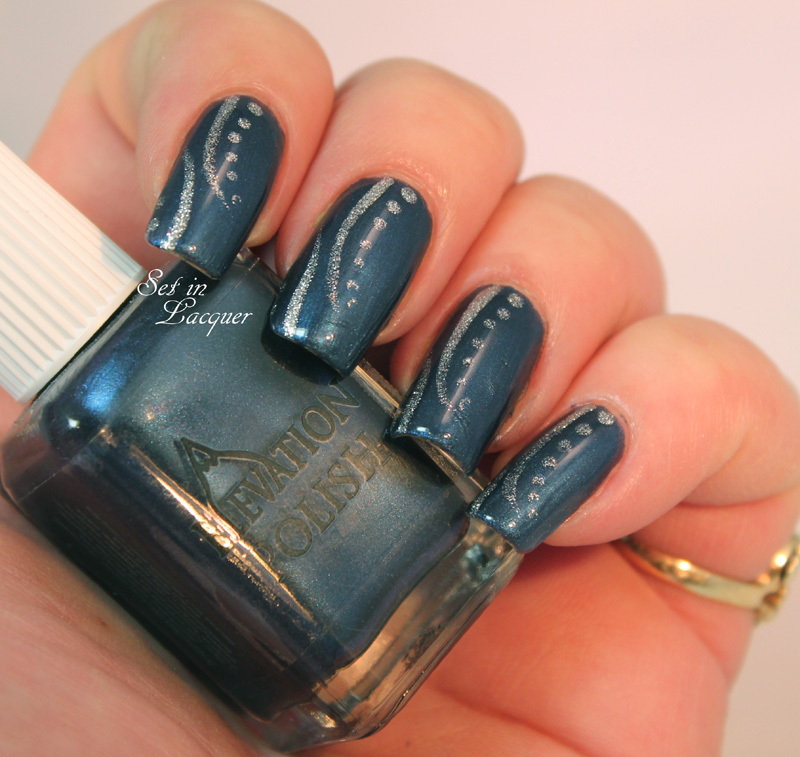 I'm so excited to be participating in the Lacquer Legion challenge this month. These challenges are arranged by Chalkboard Nails, Rebecca Likes Nails, The Nailasaurus and Work/Play/Polish. This is my first month to participate in this fun event. This month the theme is GLAM. Anyone can participate. 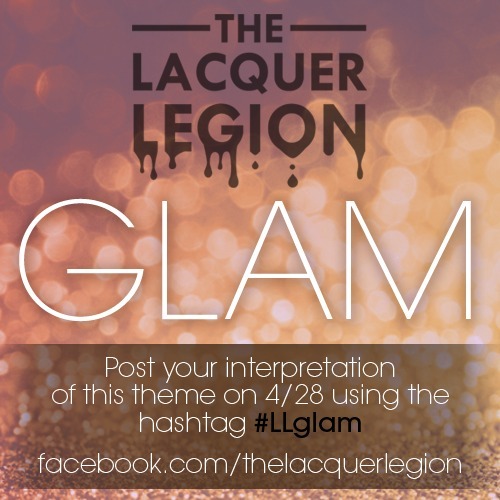 Just like The Lacquer Legion on Facebook and make sure to hashtag your social media posts with #LLGlam. The themes are different each month. To me, "Glam" is class and style. Dark and rich colors with sparkle accents come to mind. So that is exactly what I used. I started off with a base color of Elevation Polish Ubsubnur. It's a glorious navy blue with a subtle shimmer. Then I topped it off with curved lines and a few dots of OPI This Gown Needs a Crown. It's a shimmery silver. If you want to see more GLAM, just search the hashtag #LLGlam in social media. Who doesn't remember doodling on a note pad when they were younger? Heck, I still doodle during conference calls and meetings. Random lines, shapes and colors are so much fun. And since there is no set pattern, you never know how it is going to turn out. 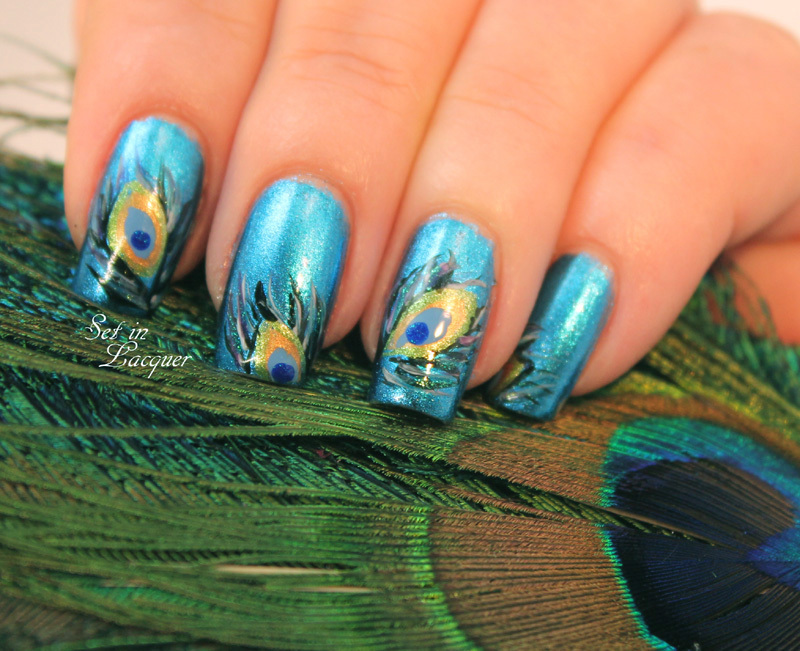 That's exactly what I did for this nail art. I started out with a white base color. I used Milani's White on the Spot. Then with acrylic paint (You can use nail polish too.) I drew random designs on my nails. I outlined those with different colors and repeated this process until I thought it was where I wanted it to be. I just kind of let my paint brush go where it wanted - no set design. I love the way it turned out. It's bright and fun. I topped it off with a top coat to seal in the design. 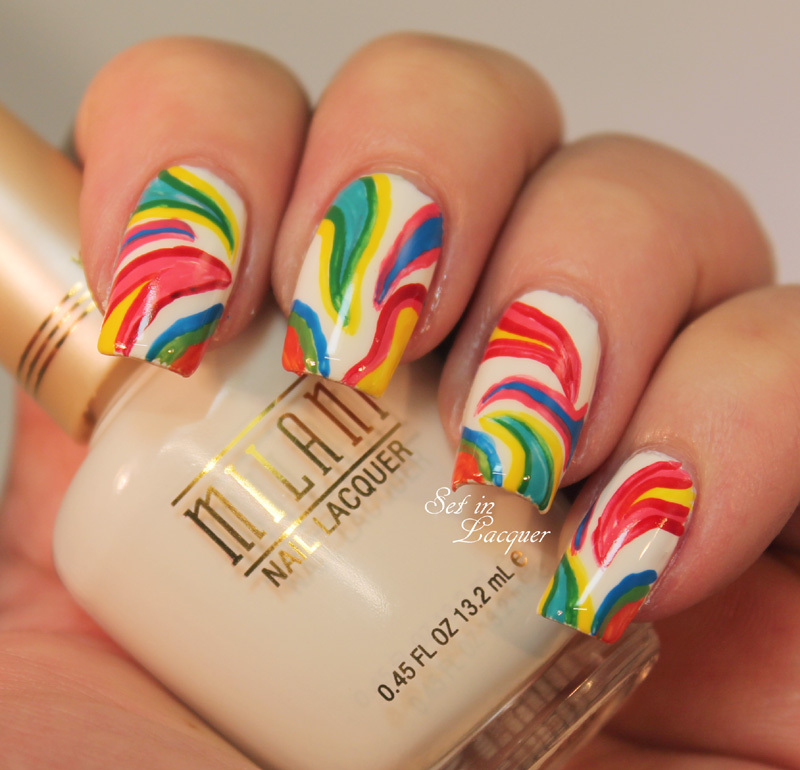 Would you try this type of nail art? The possibilities are endless! 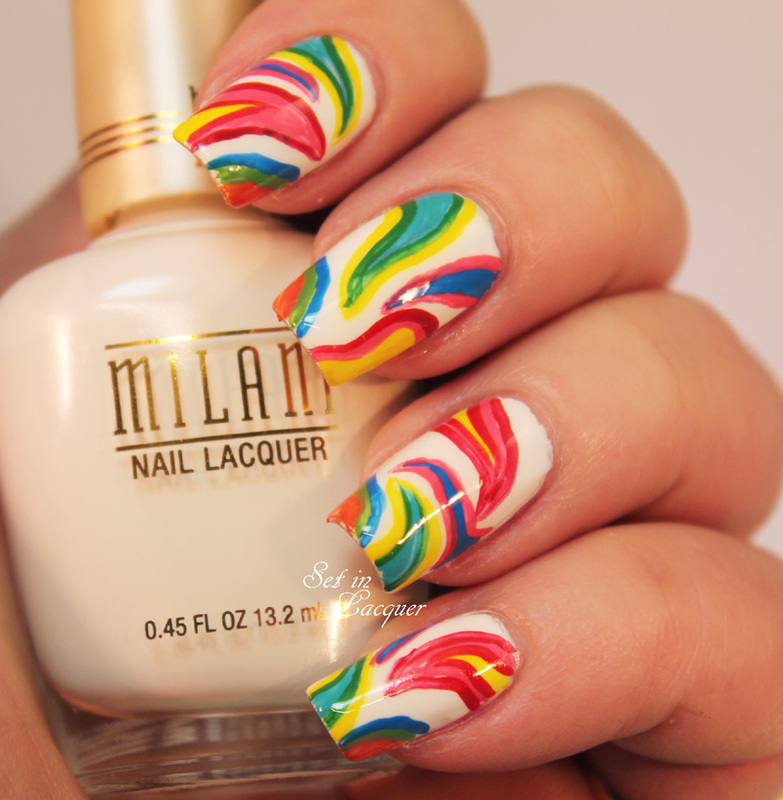 The Milani polish was previously sent to me for an honest review. All opinions are my own. 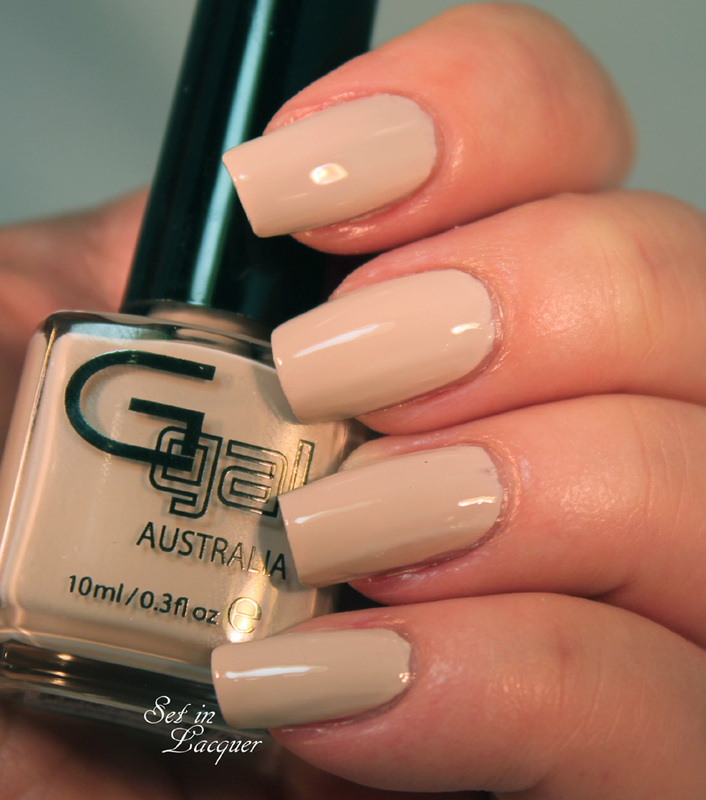 Having a nice, well-groomed manicure doesn't come with simply applying a nice nail polish. Having nice, moisturized cuticles enhances the overall look. It also keeps your hands and nails healthier. I am always on the hunt for cuticle oil and balm. I like something with a light fresh scent and that doesn't seem overly greasy. I received Glisten and Glow's Nail and Cuticle Balm, and Cuticle Oil to review. I love the fresh scent and the light, yet intensive, moisturizing abilities. 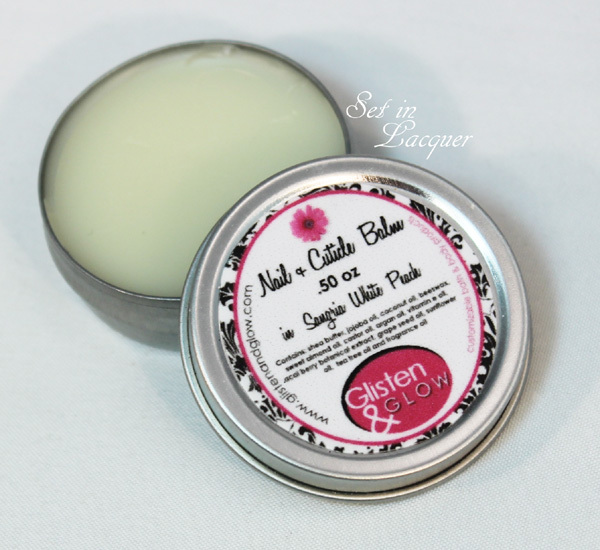 Let's start with the Nail and Cuticle Balm. I received the Sangria White Peach scent. This light scent is fruity and scrumptious. It isn't overpowering, but is fresh and tropical. I am in love with the scent. I love using this on my cuticles and nails. It isn't greasy, yet coats and protects my cuticles and leaves them looking healthy. As a nail polish blogger, the constant use of acetone can leave my cuticles dry and rough. Finding a product I like the scent of and that works well has been an issue for me. This is positively the best balm I have used. I apply it after lunch, and between swatches. It allows me to have a moisturized cuticle area without having the shine oils can leave behind (and that I hate to see in my photos). It comes in a .50 oz size. It can be purchased on the Glisten and Glow website for $9.50. I love the fact that is has all natural ingredients. This balm contains: shea butter, jojoba oil, coconut oil, beeswax, sweet almond oil, castor oil, argan oil, vitamin e oil, acai berry botanical extract, grape seed oil, sunflower oil, tea tree oil and fragrances. 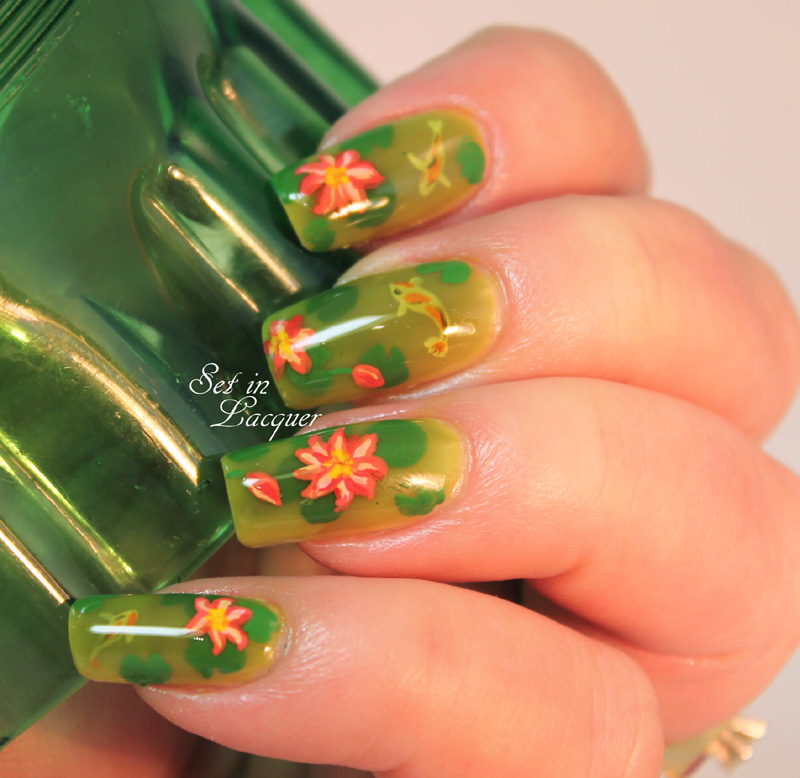 Now let's move on to the Glisten & Glow Glis-tics Cuticle Oil. I received the scent Summer Sorbet. It comes in 22 different scents, so there is sure to be something there for everyone. Personally, I adore the Summer Sorbet. It's a light tropical scent that definitely is reminiscent of sorbet. But I will definitely be trying some other scents. 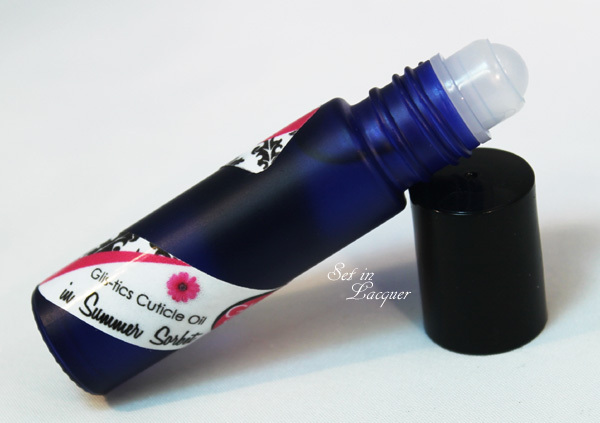 This comes in adorable blue bottle with a rollerball. This makes application a breeze! No more dousing in oil and hoping you don't leave oily prints around. This is my nightly cuticle oil now. This gives it a chance to pamper my cuticles. It also allows me to fall asleep with the light tropical scent. This .37 oz product can be purchased for $10.50. The hardest thing about this is narrowing down your purchase to one scent. So, I say just buy several! I know I will be purchasing some. Make sure to follow Glisten & Glow on Facebook to keep up with new releases and specials. Visit GlistenandGlow.com to see what other amazing products are there. 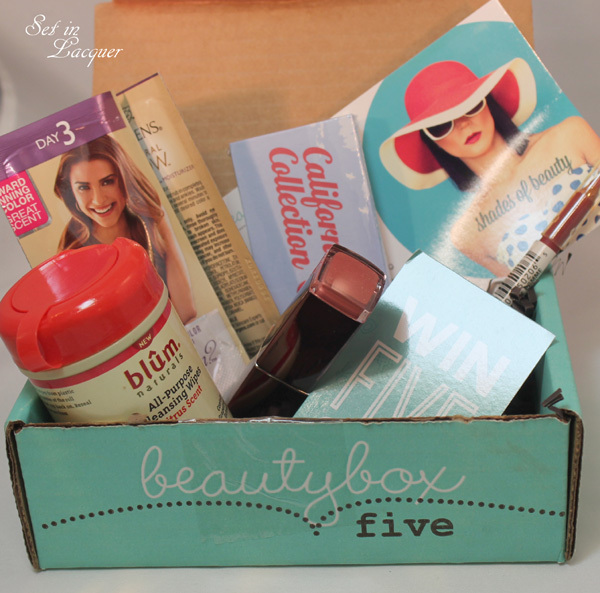 I always look forward to getting the Beauty Box 5 Subscription Box and I am so excited to share the April 2014 box with you today. I love everything in it! Let's take a look at this Shades of Beauty themed box. "We know you're busy, but your beauty routine doesn't need to move at breakneck speed! This month we're focused on looks that call for a little leisurely layering, so enjoy your mornings and take more time for yourself - Rome wasn't built in a day and a breezy spring look is totally worth an extra minute or two." This box is full of wonderful products. 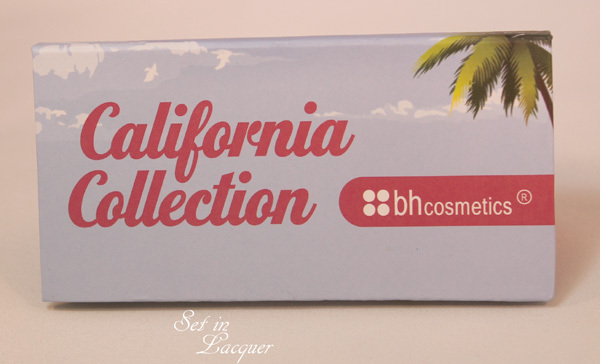 First up is a sassy eyeshadow palette from BH Cosmetics. This California Collection is perfect for those outdoor excursions or those mysterious nighty rendezvous. 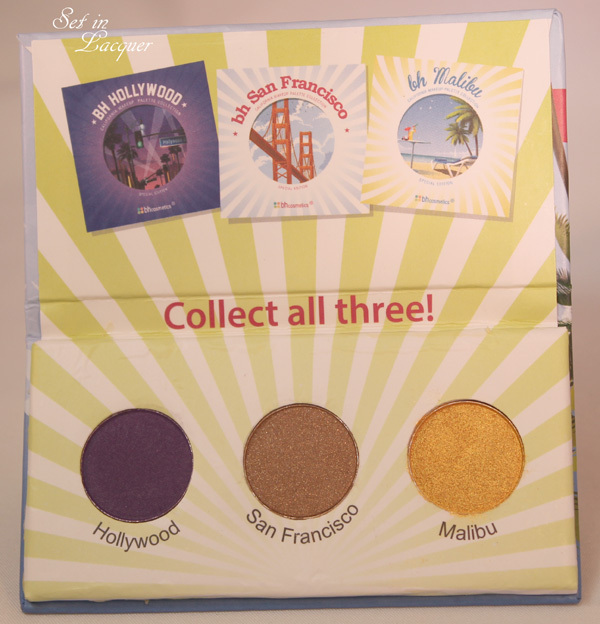 The soft gold of Malibu and the demure bronze shade of San Francisco are perfect for a smoldering neutral look. Add the deep purple of Hollywood for a deep, revved up, sultry look. It retails for $18.95. You have to keep those lips looking inviting. 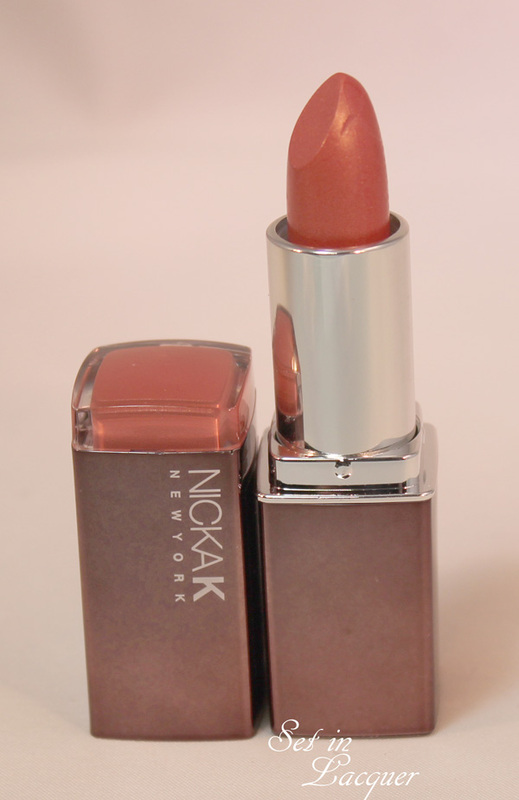 Nicka K New York Hydro Lipstick is sure to keep your pucker impeccable. I received Concerto, which is a gorgeous, shimmery sandy coral/rose. Its stay power will get you through your morning coffee and your midday snacks. It retails for $4.99. Keeping a fresh look also means we need to care for our skin. 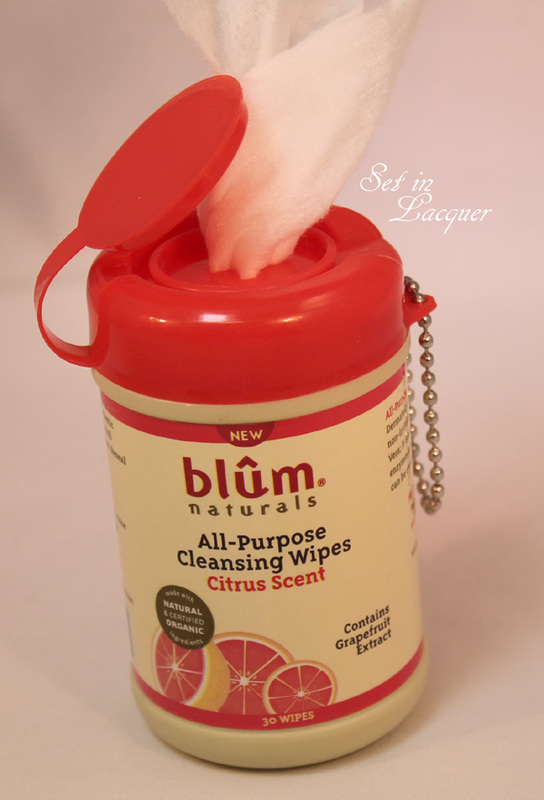 These Blum Naturals All Purpose Cleansing Wipes are infused with aloe vera and are in a wonderful container that is perfect for purse, backpack or glove box. They work amazingly well to remove eye makeup. The scent is a light citrus. They are hypo-allergenic, paraben-free, and aren't tested on animals. They retail for $2.49 for 30 wipes. Many of us like to get the jump on spring and kick winter to the curb. 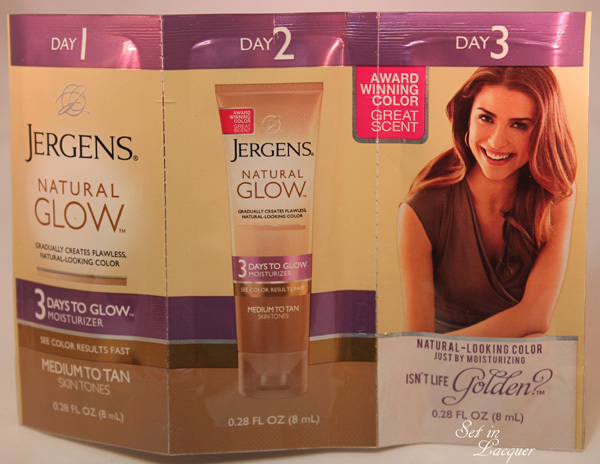 Jergens Natural Glow - 3 Days to Glow Moisturizer will help with that. It will provide a subtle tan that's streak-free. It's easy to apply and has a fresh clean scent. For the perfect pout, you need to define those smoochable lips. 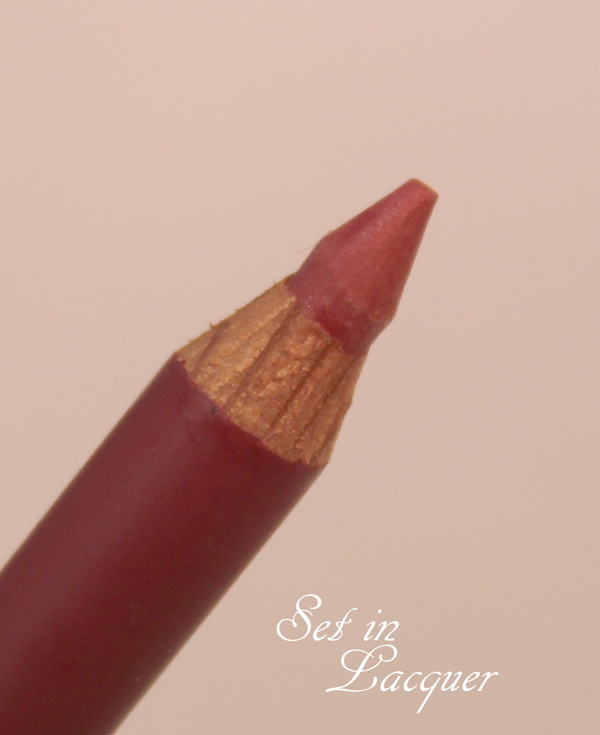 Bonne Bell Lip Definer will provide a precise lip line and helps to keep lipstick from feathering. Simply outline your lips and fill in with lipstick or gloss to get a natural look on that sensational smile. This retails for $3.95. The Shades of Beauty theme is great. I love all of these products and the value of the box far surpasses the $10 a month cost. I love getting samples and full-size products are always a bonus. Where I live shopping is limited so I never get to try some of these products. Beauty Box Five allows me the opportunity to try products I would never be able to sample before receiving this subscription box. The April box was on target for me and I will use all of the products on a regular basis. If you want to purchase a full size product you can visit Beauty Box 5 Brand page to get information. Zoya is releasing a new Summer 2014 Collection - Tickled and Bubbly. I can't wait to try these luscious colors! It's available May 15. I love finding nail art techniques that I can use over and over again. 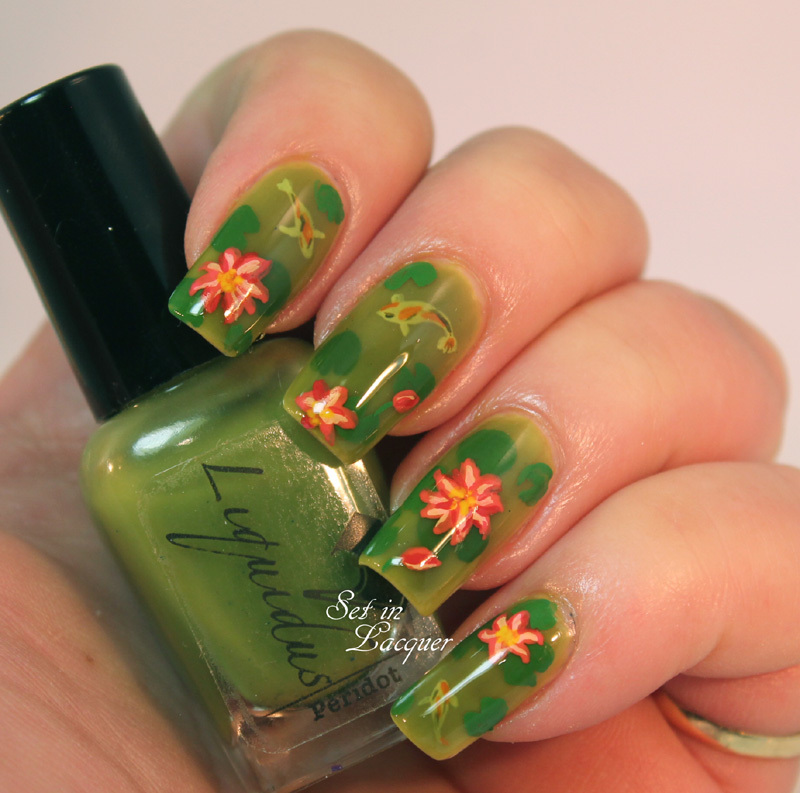 For instance, I recently tried "pond" nail art and I love it. 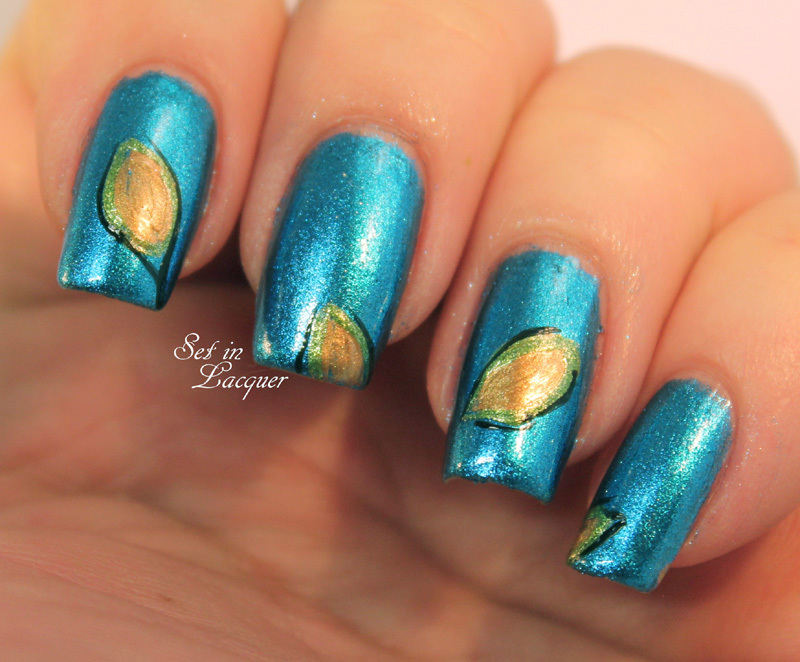 Pond nail art is when you use jelly nail polishes and layer a design between the coats of polishes. 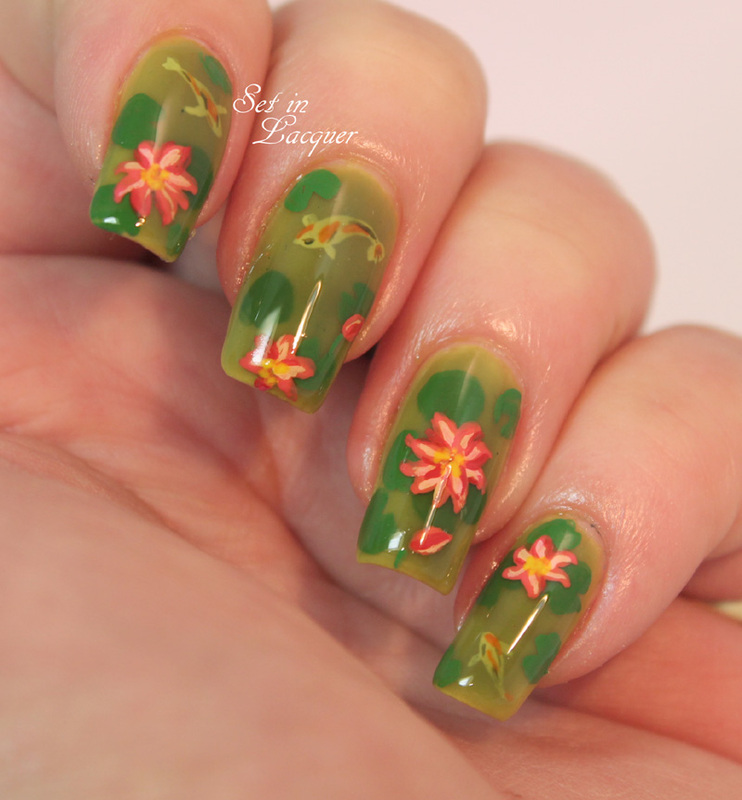 This technique provides a multi-dimensional look that is completely stunning. 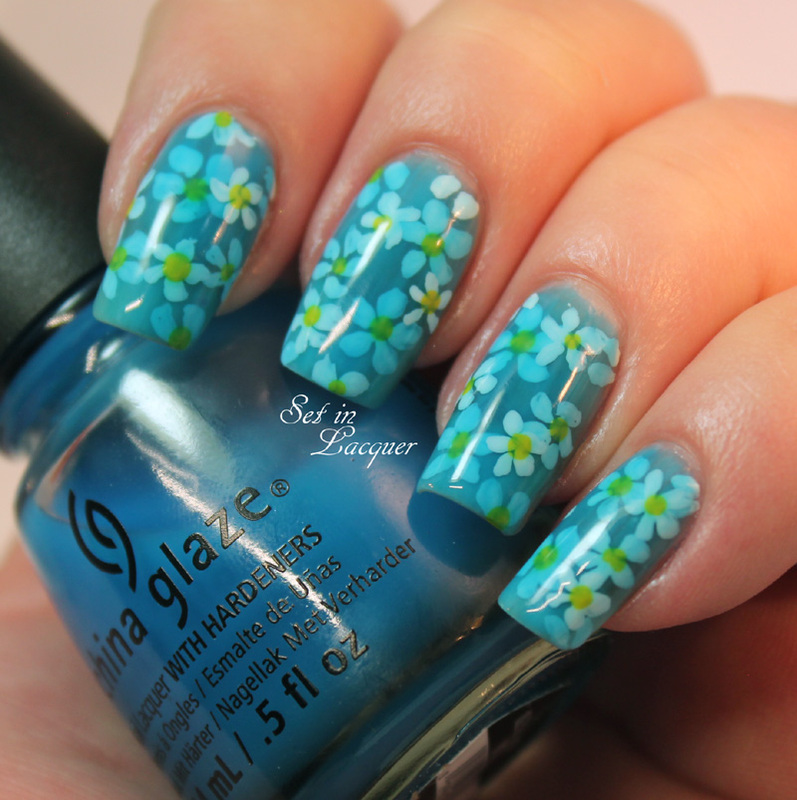 China Glaze Isle See You Later is a gorgeous blue jelly polish that works perfectly for this floral pond nail art look. I am not going to do a tutorial as Jacki from Adventures in Acetone has an amazing tutorial on this technique. 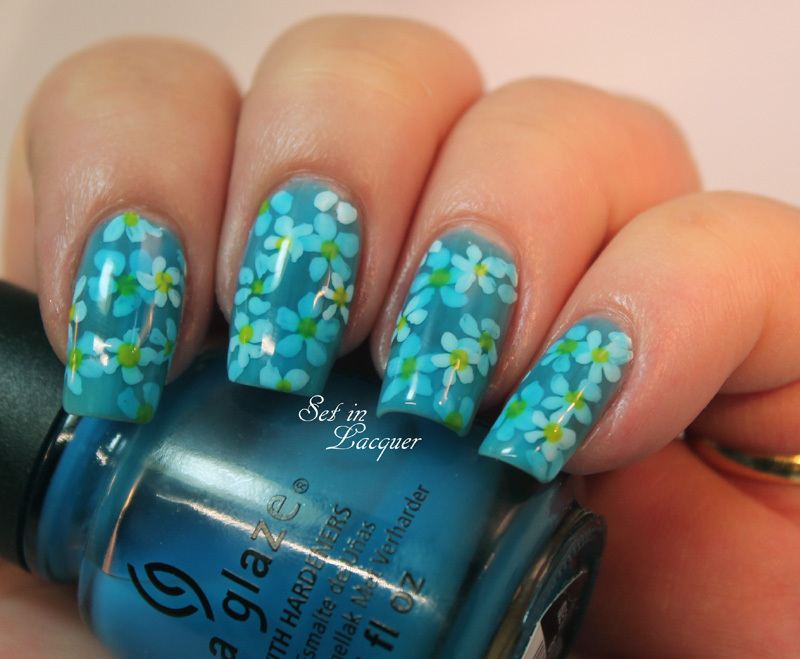 I used acrylic paint for the flowers. 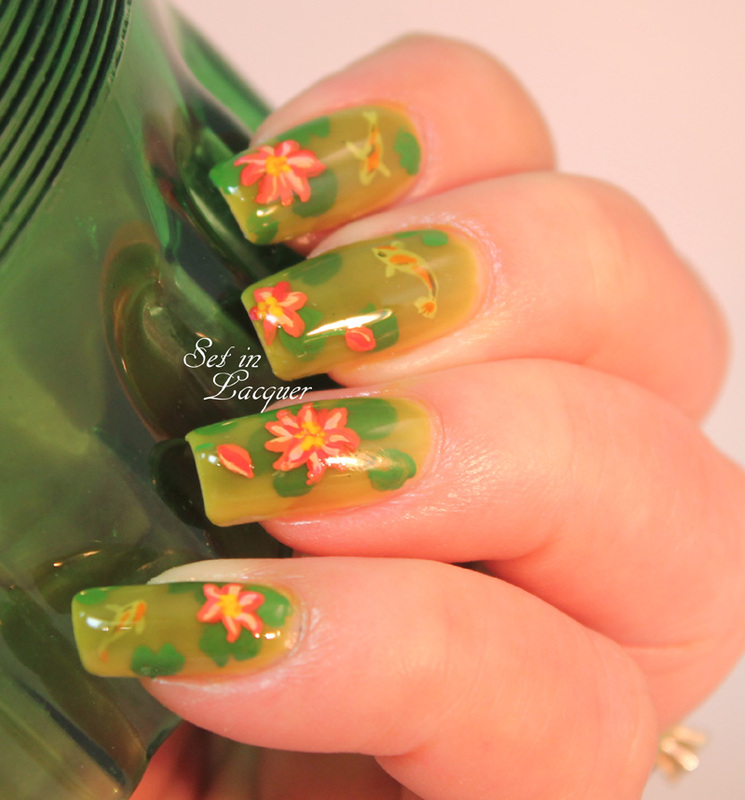 I layered the polish and the flowers four times. 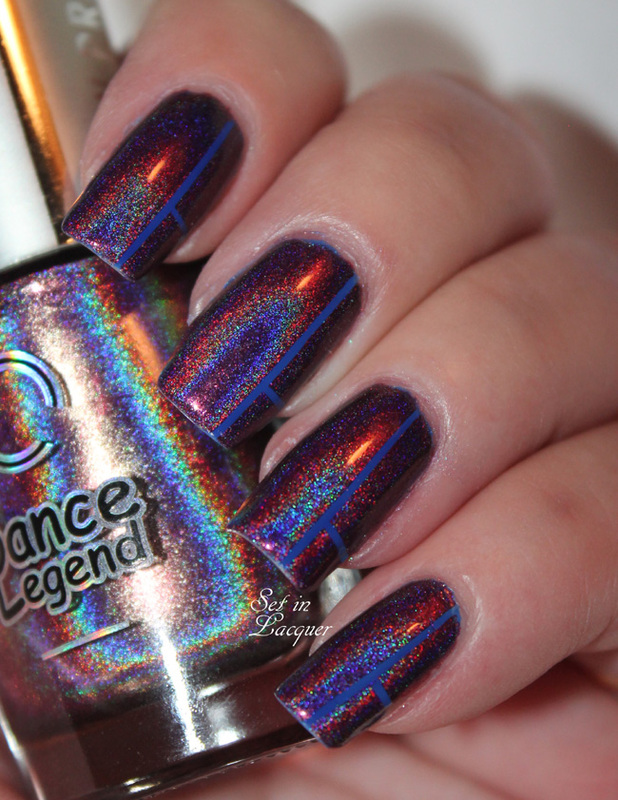 I love the way it gives my mani a three-dimensional appearance. Let's take a look! Make sure to try this technique if you want a different, three-dimensional mani. 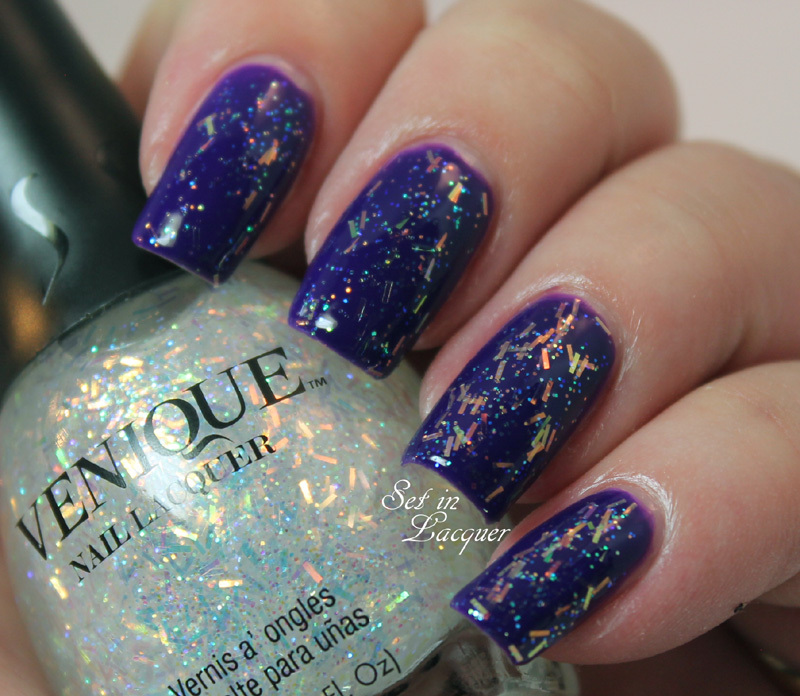 I have two really fun polishes to share with you today. 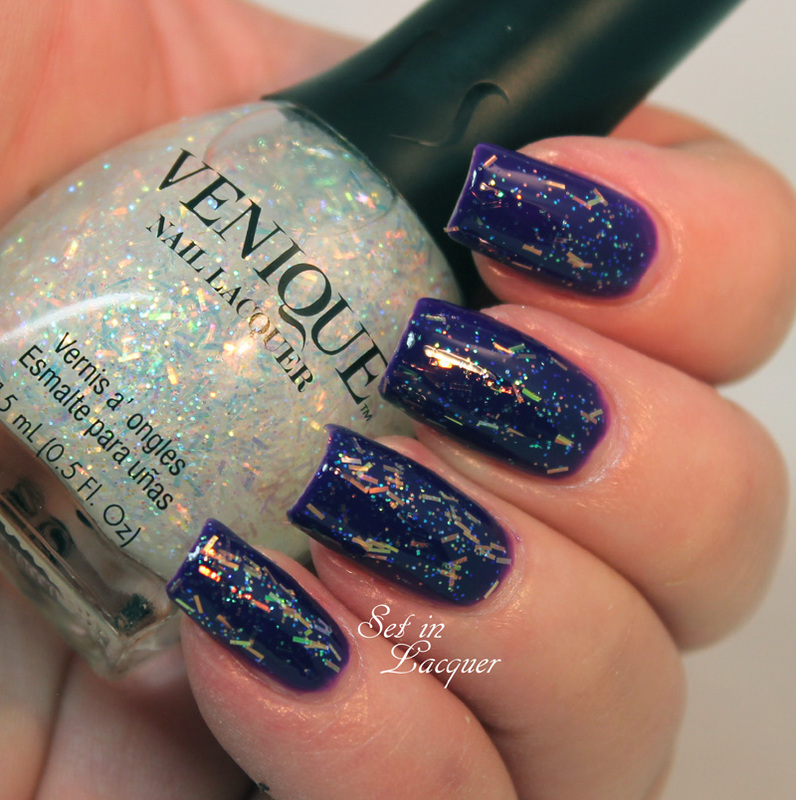 I have tried Venique polishes before and have yet to be disappointed. The colors are rich and vibrant. "Women use their hands to do...everything! So when a woman is asked what she desires in a nail polish, her answer inevitably includes beautiful, intense, long-lasting color; exceptional wear; brilliant shine; and shades and finishes guaranteed to boost confidence and attract attention. Venique gives her all of that and more." - Venique website. Let's take a look at the polishes I have for you. First up is Shocking Peep Toes. It is a gorgeous deep blurple. It's got qualities of both blue and purple. The finish is gorgeous, smooth and glossy. I could get lost in this color. This is two coats with a top coat. I am going to show you photos in different lighting. It definitely shows up blue in some lighting and purple in others - although it is predominately purple. My camera really wants it to be more blue than it is. This is the most color accurate swatch. Look at that gorgeous purple! 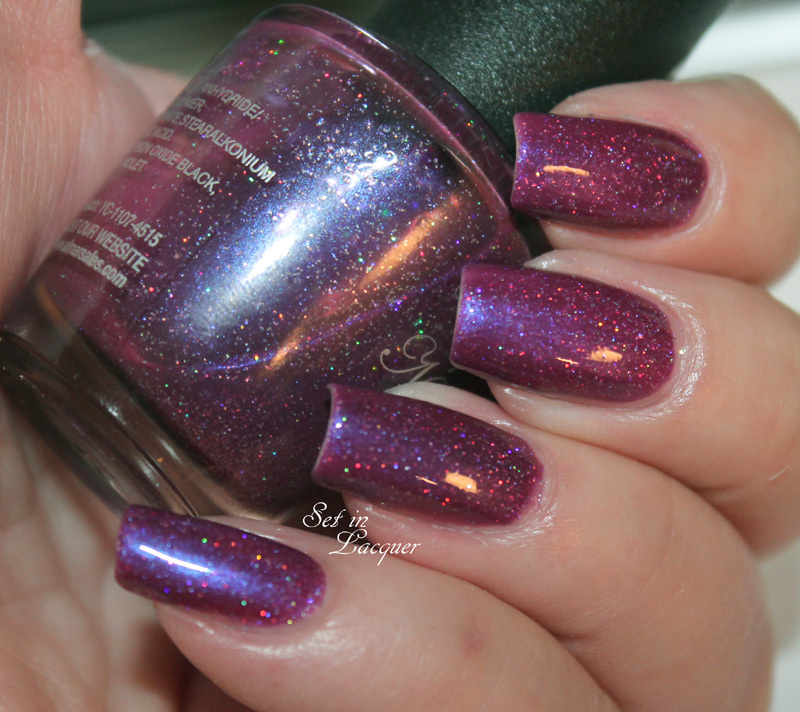 Nothing But String is a gorgeous, shimmery top coat. 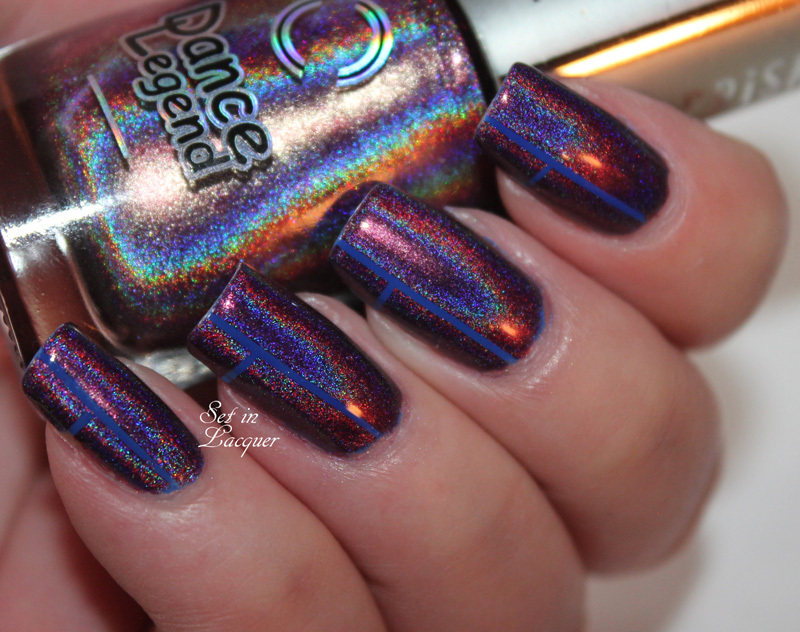 It is loaded with iridescent strips that display a rainbow of colors. It applied super easy and there was no fighting with the strips. They rest flat against the nail. This is one light coat of Nothing But String over Shocking Peep Toes. 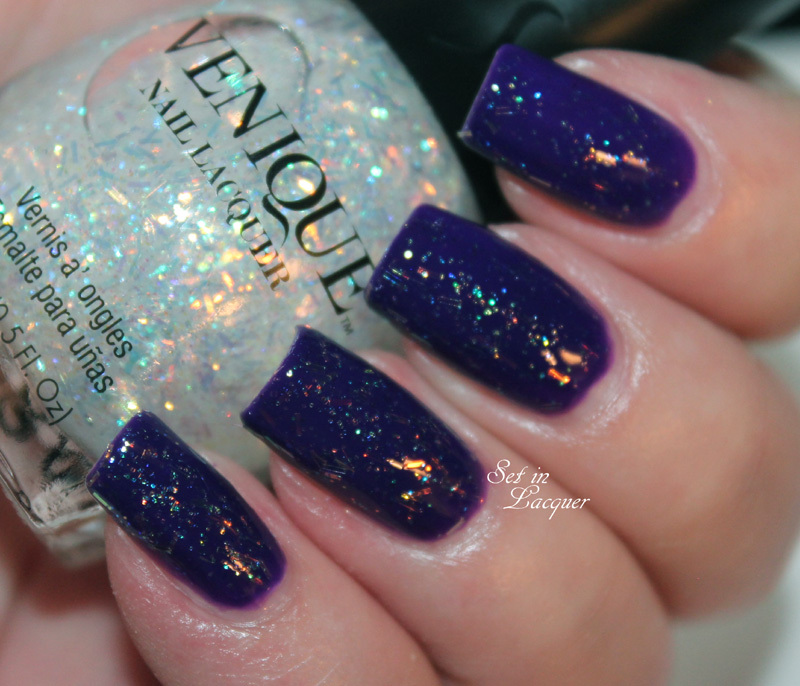 Venique is a brand that every polish aficionado should have in their stash. Make sure to follow them on Facebook for new releases. Check out their website for more amazing colors. Venique can be purchased at CosmoProf or check your salon for availability. 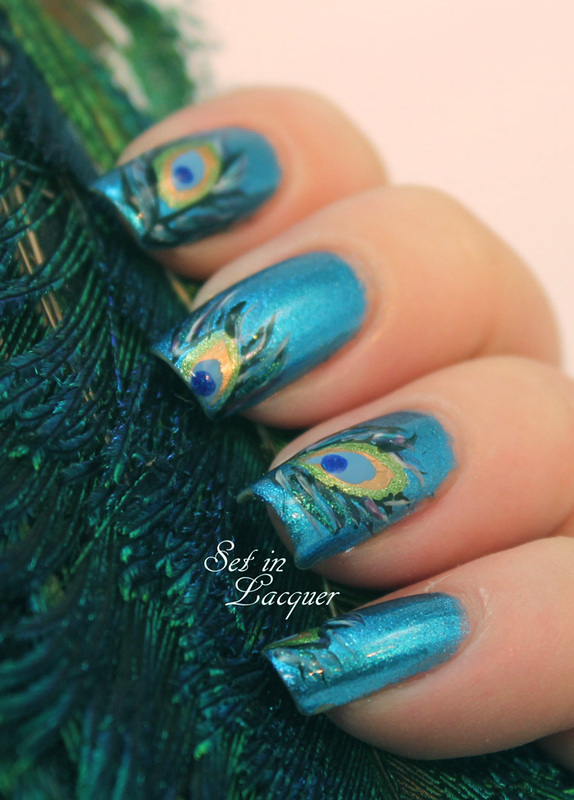 I have a fun, shimmery and elegant tutorial for you today - Peacock feathers! 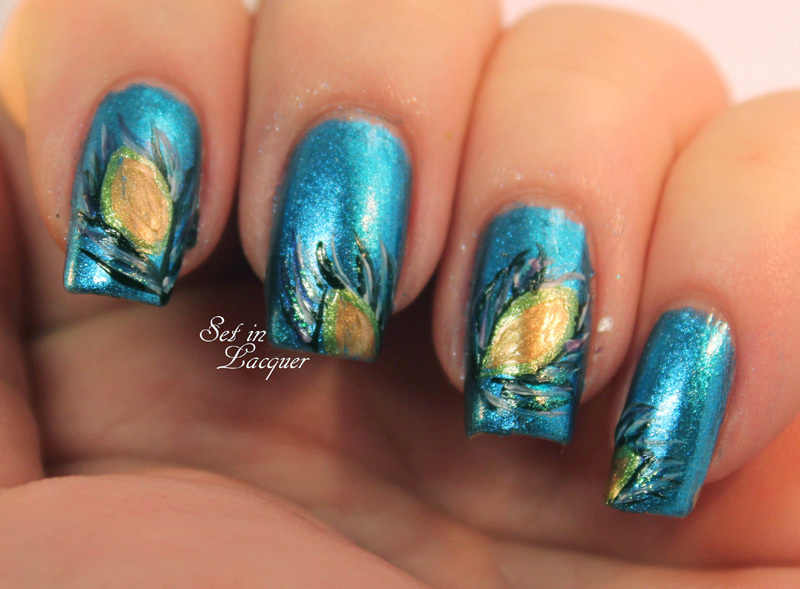 I knew I wanted to sport Peacock feathers on my nails so I went searching for ideas. I found several and kind of combined them. 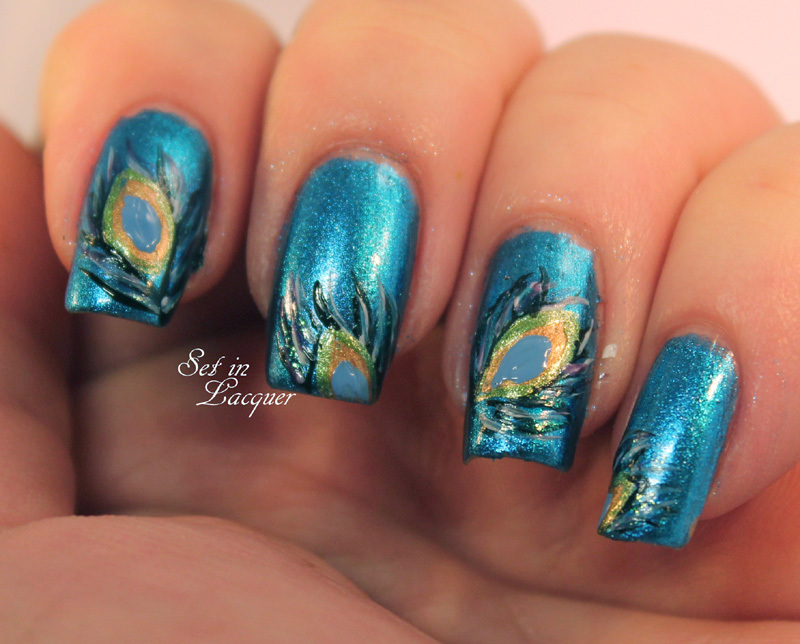 The one that really inspired me was from the Nails Magazine Pinterest page. Let me show you how I did it. I don't think all the steps are needed. But I will show you all of them. Here are the polishes I used. 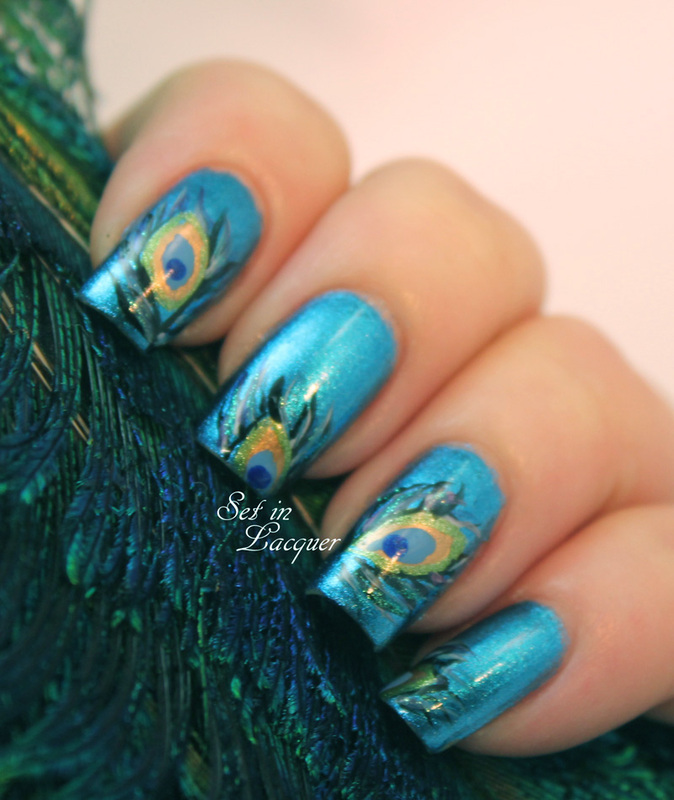 Start off with a base color of Orly Sweet Peacock or another metallic blue. 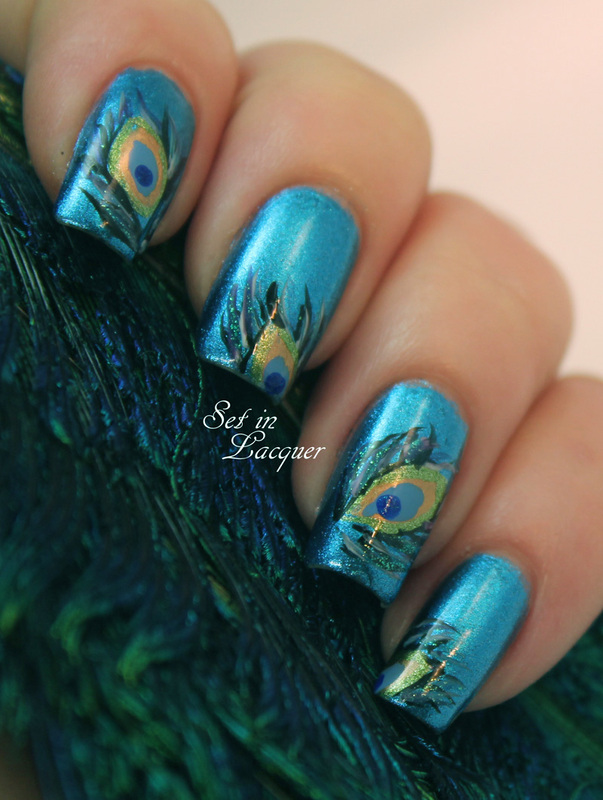 Then make the center part of the feather. I used Milani Signature Gold. 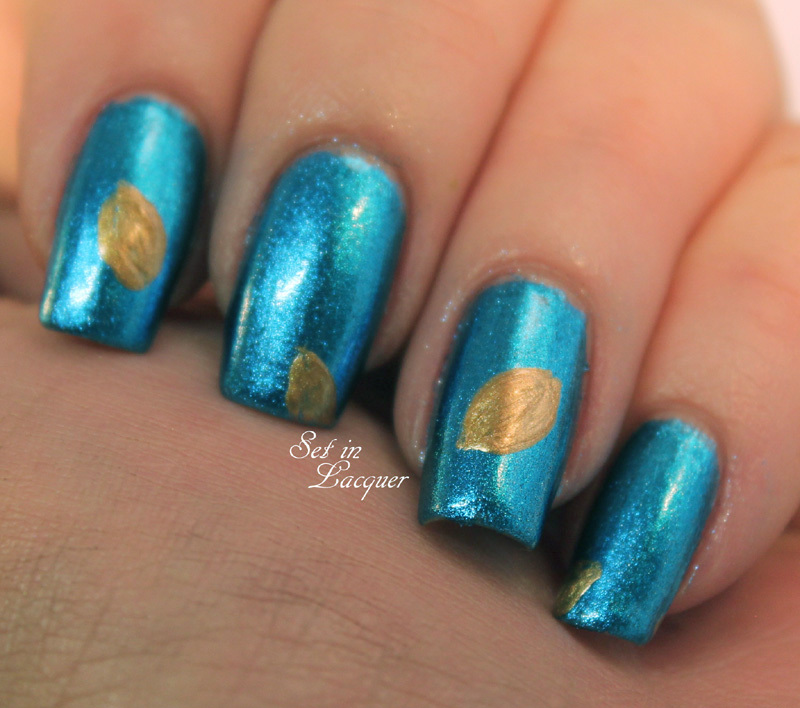 I used Zoya Meg to outline the gold in a light metallic green. Then I outlined that with Milani Black Swift. 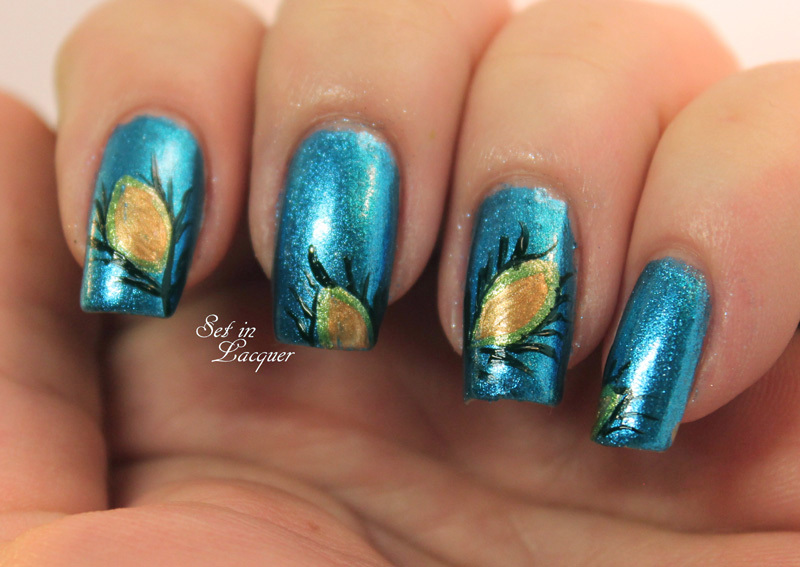 Then I painted "wisps" of the feathers with Milani Black Swift. This is just the start of the feathery part. Then I added more wisps using Milani White and Orly Mysterious Curse. 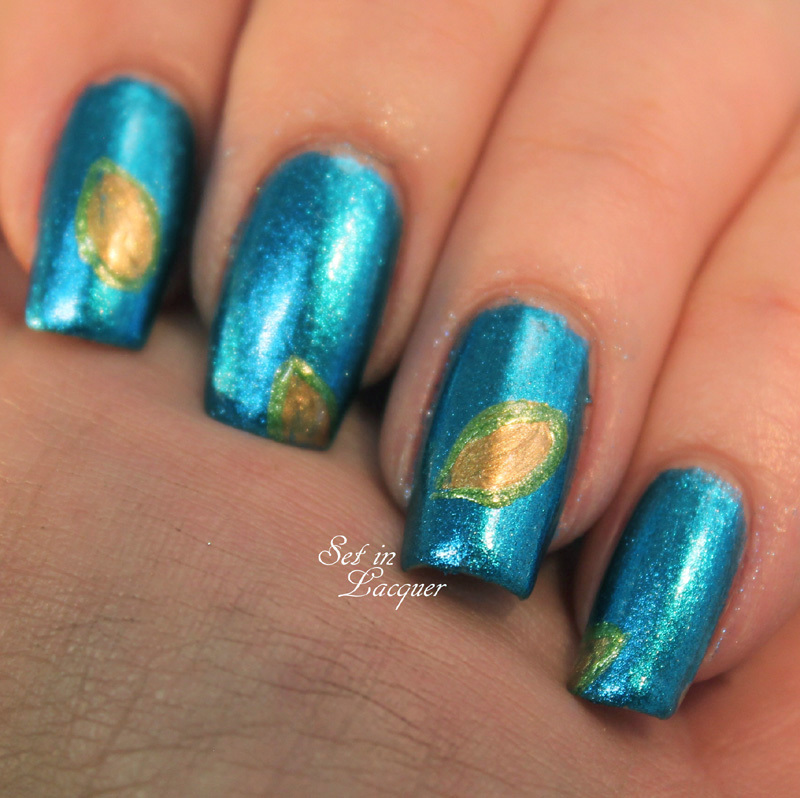 Then I added a light blue oval in the center of the gold using Orly Snowcone. Then I added a dot of dark blue in the bottom of the light blue oval using Orly Royal Navy. I topped it off with a top coat of HK Girl. It didn't smear the design at all! I really like the way they turned out. If I had to change anything I would make the wisps longer I think. A couple of these products were previously sent to me for an honest review. All opinions are my own. Become a blogger... what was I thinking?